Lily Hunter Green, Birkbeck’s next Artist in Residence, discusses the project she will be undertaking during her tenure: Bee Composed Live. The residency supports collaboration between academics and artists and will culminate in May with an exhibition of Lily’s work and a symposium. I first began my work with honey bees in 2014. At the time I was working as a Sound Artist, exploring resonant and sustained sounds within different structures and spaces. As a pianist, I was anatomising the inner workings of my piano. By chance, a bee flew inside. The sound produced was resounding and alveolated, unlike anything I had heard before. I immediately began researching the bees. I was surprised that I didn’t know more about the pollination crisis, especially given the severity of the problem. 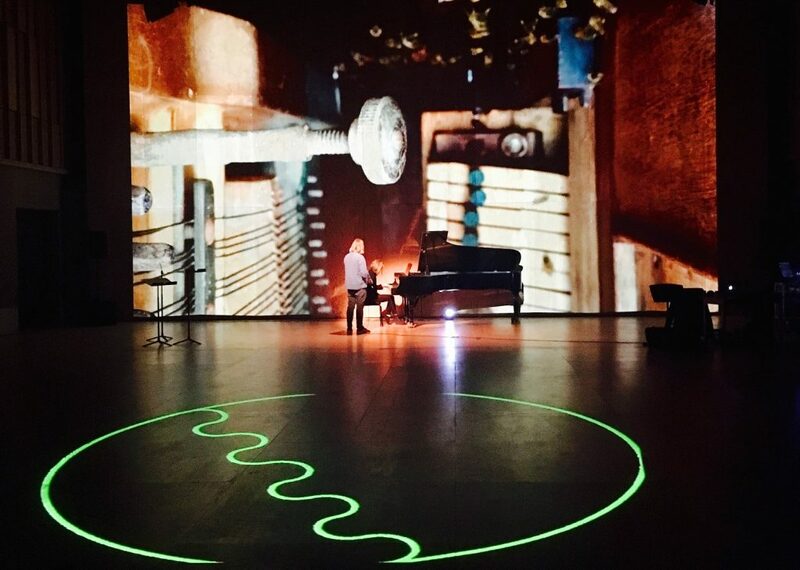 My previous piece, Bee Composed (2014), involved transforming a piano into a working beehive in which bees dwelled while an installed audio-visual recording device captured the harmonics of their interaction with the piano strings. One of the central aims of Bee Composed was to raise awareness about the human-caused threat to the honey bees and, as a result, to us too, if we don’t do something to stop their decline. 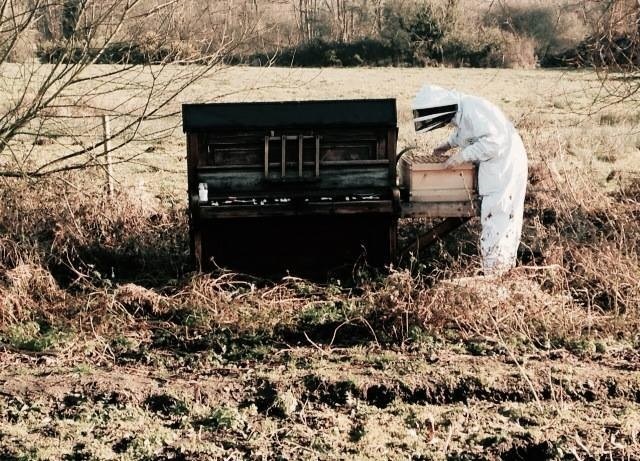 I have since begun to develop Bee Composed Live, the work that my residency at Birkbeck will be focused on: that is, a live performance piece that combines music, dance and original audio-visual compositions in a bid to explore the ways in which we can artistically and critically draw attention to our rapidly changing ecology, and our role within it. I believe that the role of the artist is to present an alternative way of experiencing the subject. One that provokes new ways of thinking, feeling and responding. Art as a creative transformer, as a catalyst for change, if you like. My primary objective in terms of Bee Composed Live is to present audiences with an alternative way of experiencing and interacting with nature via a series of immersive creative strategies. This will include the creation of a simulacrum ‘hive mind’, a unique microcosmic space, or ‘super-organism’, that enables audience members to experience the inner dynamics and scientific happenings of the hive. The concept of the ‘collective consciousness’ or ‘hive mind’ is itself an appropriation of how the worker bees administrate the hive. As such, Bee Composed Live is dynamic collaboration. It represents togetherness, the power of collective thinking and action, and the importance of community. This residency provides a unique opportunity for me to develop my creative thinking and practice within a new and challenging environment. To develop Bee Composed Live, I will work closely with the Birkbeck Centre for Contemporary Theatre, a space in which theatre makers, critics and audiences gather to share knowledge, ideas and practices. I also hope to explore collaborative opportunities with other academic departments that intersect with my work, such as the Department of Earth and Planetary Sciences, the Department of Film, Media and Cultural Studies and Birkbeck Research in Aesthetics of Kinship and Community. As someone who usually works in isolation, I am hugely excited at the prospect of working with such a range of creative practitioners and academics. Most of the 10-month residency will be spent within The Centre for Contemporary Theatre. During this time students will have the opportunity to engage with a range of creative activities extending from inter-disciplinary workshops, digital screenings and seminars, through to the final performance and exhibition. My ambition is to inspire students and academics of all ages and disciplines to think ‘outside of the box’ and consider new ways of working with artists and creative forms, potentially creating new opportunities and collaborations across a range of disciplines, and thereby transforming complicated, often ‘dry’ scientific fact and theory, into a more accessible, digestible and dynamic form. Another dimension of the residency will be to involve local communities and the wider public in Bee Composed Live: whether as active participants or as passive observers. Diversity is at the heart of my creative practice. As such, I am keen to ensure that as many people as possible are able to engage with this project in some way. As a consequence, every effort will be made to create a piece of work that can eventually go out into the community, by physically in a touring capacity, and/or, via a digital platform. Collaboration and participation will be key to the success of this residency. I hope as many people as possible will become part of this creative hive mind. This post was contributed by Dr Natasha Kirkham from Birkbeck’s Department of Psychological Sciences. In 2012, I took part in a research project looking into children’s reaction to witnessing violent events. Working with a playwright from Theatre Centre, I conducted workshops in 10 primary schools, located in areas with high levels of violence. 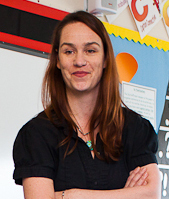 The workshops fed into the writing of a new play, which then toured primary schools across the UK. We handed out questionnaires to the children and their teachers about responses to and understanding of violent behaviour and bullying before and after seeing the play. Until now, my research has been solidly experimental, investigating theories on attention and learning. This project opened my eyes to just how important it is for developmental scientists to get out of the lab and into the field, to shake up their methods, and to listen to individual children. And to remind ourselves that development does not happen in a vacuum. These children were extraordinary – tough, interesting, heart-breaking, and funny – and all of them had thoughtful, strong opinions about the very real bullying in their environments. I learned about ‘circle of friends’ (peer-groups assigned to befriend and look out for each other), I learned about the role of humour in the lives of these children (both appropriate and inappropriate), and I learned how easily these children shift between reality and fantasy (seamlessly moving from laughing about parents in prison to discussing Xbox characters). Importantly, I learned that with bullying, ‘walking away’ does not always work. This experience was personally and professionally cathartic for me, offering new insights into modern-day parenting, coping strategies (for children and teachers), and developmental resilience. Ultimately, it proved to me that a lot of our ideas about how to deal with bullying need to be re-worked. We hope that the pre and post play surveys will show a significant shift in people’s perspective on community violence and the effects of bullying, and provide some evidence for theatre-based intervention in areas rife with violence and trouble. Dr Kirkham’s review of her experience with this project was originally published in The Psychologist magazine. This post was contributed by Edward D. Barker, PhD and Natasha Z. Kirkham, PhD from Birkbeck’s Department of Psychological Sciences. In the project named, “Silent Witnesses”, a collaboration between Birkbeck, the Theatre Centre, and Actorshop Limited, we will interview a group of high poverty inner city primary school children accross the UK. The children will discuss their community violence experiences. These discussions will be used to create a bespoke theatrical production, which will be shown to parents, teachers and children at targeted primary schools. The parents will receive pre-play and post-play evaluations of their attitudes towards aggression with respect to children. A documentary will track the full duration of the project – from the child interviews, the final production, and the responses of the teachers, parents, and children. Updates about this project will be published on this blog.